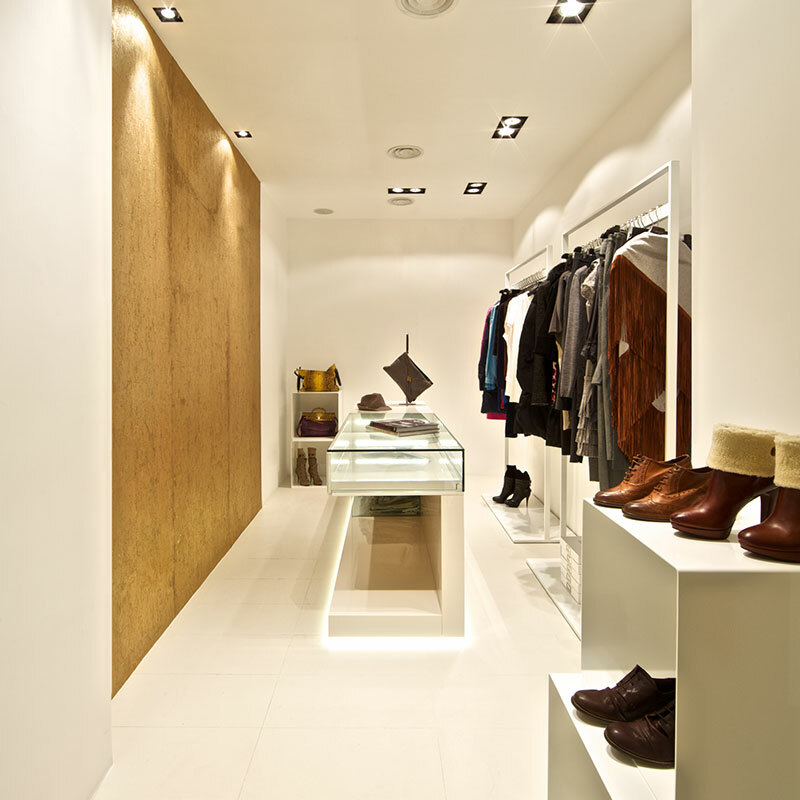 Boutique, Rome - Sammarro Architecture Studio. 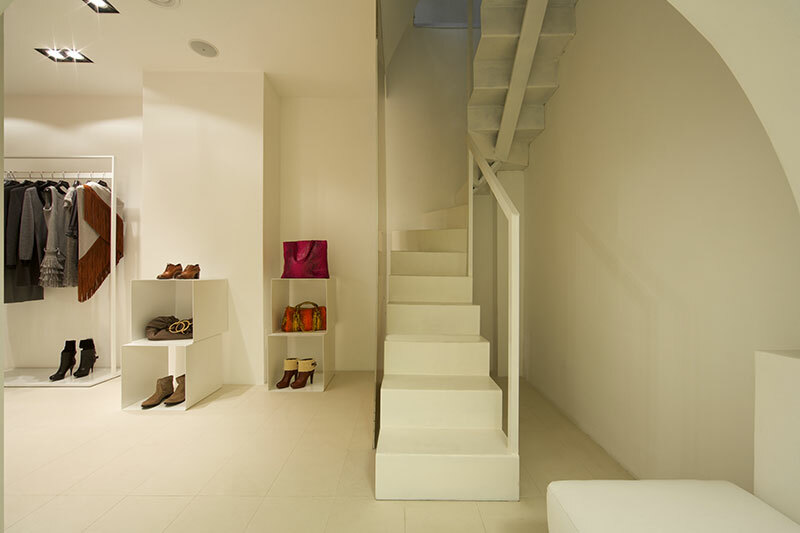 The boutique is divided in two levels that are linked between them by a white resin staircase. It is a architectonic game of elements being the Merulana 114 ‘s result. 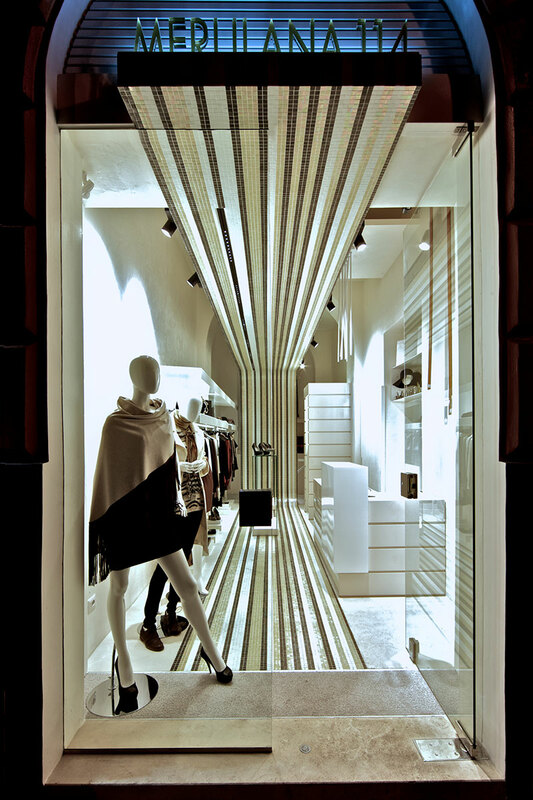 In this boutique the light plan has been carefully achieved, to capture the pedestrian’s attention in the night compelling them to focus on the shop window and the clothes in exposition.